1. Why is it important to make sure that you have specialist cover? Using a broker that you can talk to (like A-Plan) means that you can make sure that you are getting the right level of cover at the right price. Many clients have requirements that ‘off the shelf’ online and direct markets cannot assist. We have access to many markets that can tailor a policy to your needs. It’s important to have specialist cover from knowledgeable staff who can be to hand to help you through the process of selecting the right cover and dealing with any claims. Using us will give you a personalised service and access to many of the top providers rated insurers in the UK offering the ability for benefits like agreed value and comprehensive driving for other cars. As a specialist, we can insure cars from all values and backgrounds from classics to modern/performance, high value and HyperCars. We are lucky enough to insure some very rare/exotic on- off models. We can also offer family fleet polices that cater for all vehicles in the household under one policy. 2. How do you define a “supercar”? Any modern sports car developed with the express purpose to provide exceptional performance, luxury and exclusivity. These vehicles not only often require agreed value but, in the event of a claim, an understanding of the need to ensure specialist repairers and technicians can be used to return the car to its former glory. 3. Why is agreed value important? In a world where when you put a different owner on the logbook, it can cause depreciation. Mileage can also affect insurance pay outs. We can arrange cover on the basis of agreed value giving you peace of mind of a guaranteed amount in the event of a write-off. Many specialist motor cars have significantly increased in value, some the moment they are purchased. This is often the reward of many years of collecting and running such cars. Protecting that investment, sometimes 7 figure sums, is vitally important. 4. Why is being able to use my own garage for any repairs important? Standard market polices state you have to use their repair centre. With our policies, we offer choice of repair as standard, giving peace of mind that your pride and joy will be fixed by an expert, using official parts and labour. With mass market insurers, even damage as straightforward as windscreen replacement can give rise to significant cost or compromise to the client, with the large majority of more standard insurers limiting glass payments to £150.00 per claim. Many supercar windscreens cost in excess of £4,000.00 to replace! 5. Is it important that genuine parts are used in any repairs? Having someone who doesn’t use approved parts and labour will affect the re-sale value so that’s why we recommend using us so we can ensure correct parts are used. It is perhaps the lack of expertise that can be the major worry when non-manufacturer repairers are involved. 6. Will I need track day cover? Although this can be useful for some, and indeed we are able to give limited track provision, the majority of supercar owners never take their own cars on track. 7. Will I need cover for driving to Europe and/or for my car to appear on a concours/at an exhibition? Having the peace of mind of automatic and often lengthy European cover can be very helpful for client’s wanting to ‘stretch the legs’ of their car. Many of the cars produced are manufactured specifically to crush continental travel and who does not fantasise about spending time enjoying their car driving across the Alps, around the Italian lakes or along the French Riviera. European Breakdown Assistance is provided as standard via the High Net Worth insurer panel. For those clients who enjoy sharing their pride and joy with others, cover when showing the car at concours events or exhibiting at shows or car showrooms can be very helpful. Many standard insurers would not be happy providing this flexibility. 8. Are there any modifications and why is it important to tell your insurance company? Insurers always want the opportunity to decide whether or not to provide cover for the risk or for the modifications themselves. Failing to advise an insurer can invalidate your insurance cover. With some standard insurers, even options selected at the time of manufacture can be treated as modifications, potentially making the car more susceptible to theft or expensive to repair. As long as they are informed, the vast majority of HNW insurers will provide full cover to repair the car taking into account the modified parts. Clients may have spent a great deal of money, time and effort developing the car and would want an insurer to help return the car to its former glory. 9. What can you do to keep the cost of your insurance on your supercar down? Previous ownership of powerful cars is often the key but there are many things that can be done. A lower mileage will usually produce significant savings. Home security is often very helpful in reducing the premium charged, for example locked garaging, electric gates, the car being set back from the road or even extending any house alarm to the garage. Security fitted to the car itself is often a requirement for the insurers as opposed to something that gains a discount. 10. Why is A-Plan the best option for you? 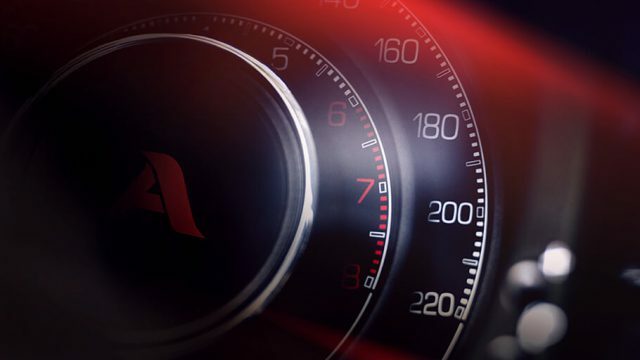 Fully qualified staff in A-Plan have a combined experience of over 20 years in the supercar sector. At quote stage, this makes a significant difference. We are one of the market leading HNW brokers in the UK, with access to a large panel of the top insurers in this sector. The service we offer is thoroughly bespoke and includes internal claims assistance and advice, which will save our clients a great deal of time and stress. We are very familiar with the needs of these clients and are able to secure policies that cater for the client’s needs rather than trying to restrict the client to the insurer’s provision. We can also provide our clients with all their personal insurance, not just for the motor cars, often with the same insurer.